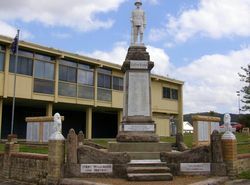 The Memorial Park was established to contain the monument which was erected in memory of those from the district who served in World War One. 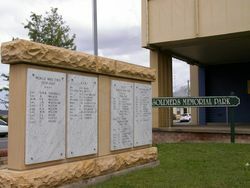 The park contains the War Memorial and the Wall of Remembrance. 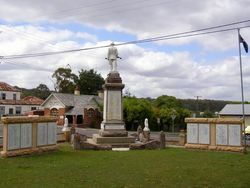 The site of the Soldiers' Memorial was earlier occupied by a small shop and residence. 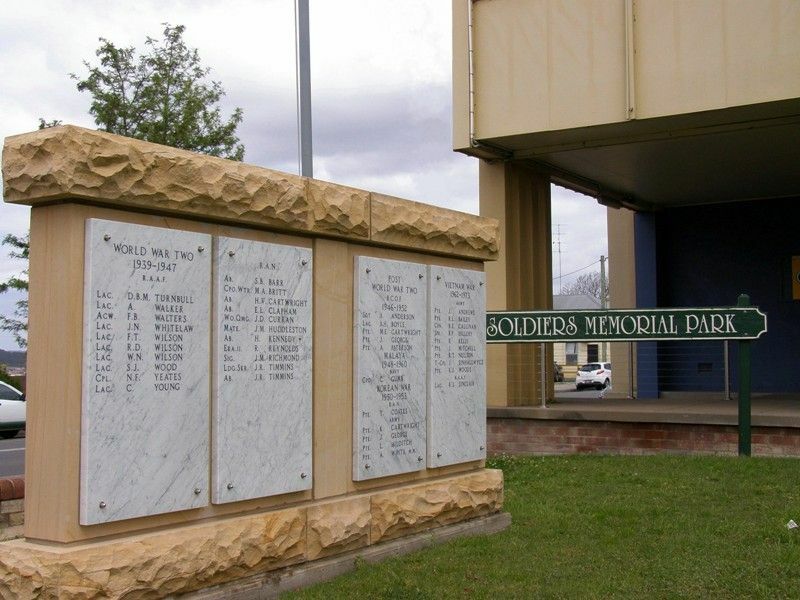 A War Memorial Committee raised the money to buy the site, demolish the shop and convert the block to a small park to contain a monument to the local men who served in the Great War.